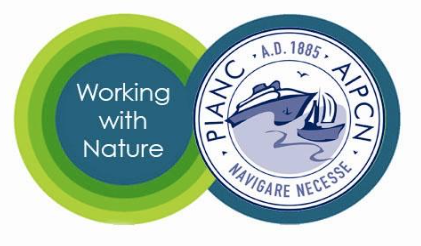 The Working with Nature (WwN) approach for the development of navigation infrastructure projects was established by the World Association for Waterborne Transport Infrastructure (PIANC) in its Working with Nature Position Paper in 2008. WwN is an integrated process which involves working to identify and exploit win-win solutions which respect nature and are acceptable to both project proponents and environmental stakeholders. It is a philosophy which needs to be applied from the very early phases in a development project when flexibility is still possible. By adopting a determined and proactive approach from conception through to project completion, opportunities can be maximised and frustrations, delays and associated extra costs can be reduced. In essence, adopting the WwN philosophy means doing things in a different order. Instead of developing a project proposal and then assessing its environmental impacts, WwN advocates understanding the environment and engaging with stakeholders from the start in order to identify win-win options and to define project proposals that benefit both navigation and the environment. In order to put the WwN philosophy into practice and to promote development projects consistent to the approach, PIANC established in 2012 the WwN “certificate of recognition” and the WwN Award competition. The WwN certificate of recognition is available for projects at any stage of implementation that are consistent with the WwN philosophy. Certified projects get automatically candidate status for the prestigious PIANC WwN Award which is handed over every 4 years during the PIANC World Congress. The first Award was handed over in 2014 and the next one will be granted in 2018 in Panama during the 34th PIANC World Congress. PIANC provides visibility to all WwN certified projects though a dedicated online database.